PHILIPPINES (September 27, 2017) – AXN has partnered with Pilipinas Obstacle Sports Federation (POSF), the national organization spearheading the promotion of obstacle sports in the country, for the AXN University Challenge 2017. The pioneering partnership aims to support students who excel in sports and provide them with the opportunity to showcase their skills. Now on its sixth year, the annual event will feature a new challenge - an obstacle sports competition for individual and team participants where students are put to the task of overcoming a series of physical challenges which will test their speed, agility, and endurance. AXN will be going to the University of the Philippines (UP) Diliman, National University (NU), De La Salle University (DLSU), and University of Santo Tomas (UST). Only the toughest will survive as competitors vie for cash, prizes and the ultimate reward - bragging rights as this year’s AXN University Challenge champions! The AXN University Challenge is brought to you by Shakey’s, Mentos, Mitsubishi Mirage, and Mogu-Mogu. 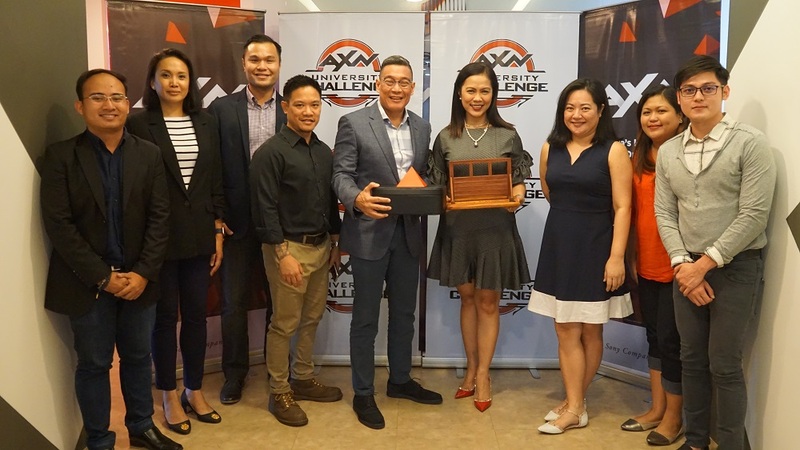 The AXN University Challenge kicks off on September 29 at UP Diliman, with the succeeding legs to be held on October 6 at National University, October 13 at DLSU, and October 25 at UST.